The ship fitting system is one of EVE Online‘s most powerful and useful features, but it comes with a pretty steep learning curve for new players. The same ship can be fit with any number of completely different setups to perform different roles, and fits can be specialised for tackling a particular enemy or executing a certain strategy. 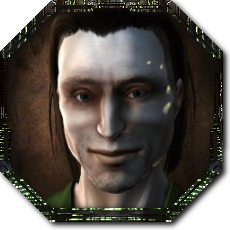 Many players will use tried-and-tested ship setups designed and tested by other players, and some alliances have amazing theorycrafters who come up with new setups for everyone use in fleets. 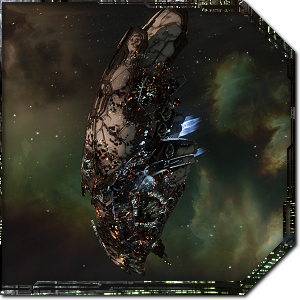 There is no single perfect fitting for any ship, though, and EVE receives regular balance updates that periodically shake up the fitting meta. Designing your own setups or tweaking commonly used fits is not only rewarding but is surely one of the core skills that players should develop – it’s just as important to the game as learning to use the directional scanner. Becoming comfortable with ship fitting allows you to adapt to new changes such as the upcoming ECM rework before your enemies can, plus it’ll help you tackle new PvE content such as Abyssal Deadspace while it’s fresh and profitable. In this edition of EVE Evolved, I’ll delve into the various tools that can be used, the basic process behind designing effective ship setups, and some tips that relatively new players should find useful. Players have developed some amazing tools over the years to help you design ships outside the game. 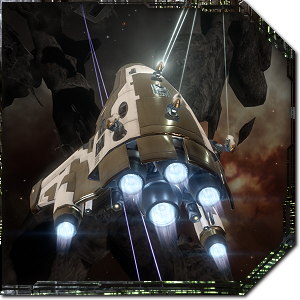 EVE Fitting Tool was the original program of choice until it was abandoned by its creator back in 2016, but some enterprising players have now resurrected it for the Into the Abyss expansion. A popular alternative that is still in ongoing development and maintenance is PYFA (Python Fitting Assistant), which has become the default tool since EFT was abandoned and has plenty of tutorials online to help you get started. CCP itself has also implemented an amazing in-game ship fitting simulator in-game with its Ghost Fitting feature, which lets you design and save a ship fitting so you can use the multi-buy feature to buy the whole ship and fitting with a single click the next time you’re in a trade hub such as Jita. There’s also no substitute for real experience with how a ship handles on the battlefield, and many players prefer to use a trial-by-fire approach to ship design by throwing ships into battle and tweaking the setups over time depending on what problems they encounter. 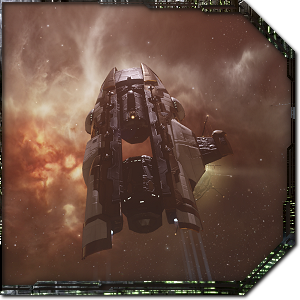 If you’re new to EVE and aren’t sure how to fit a particular ship, there are plenty of places online to find fittings created by other players. 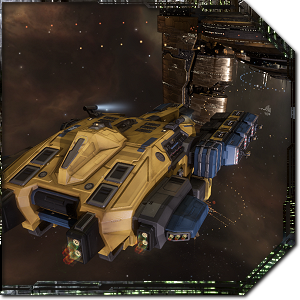 EVE University maintains standard fittings for many ships and a special loadout forum where you can ask for fitting assistance. Several alliances have also published their fleet doctrine ship fits online for people to view, and another sneaky way to see what people are using in PvP is to skim through the zkillboard losses page for the ship in question. Pick a propulsion module: PvE in EVE is painfully slow game if you’re chugging along at the 200-400 m/s base speed of most ships, and in PvP you need a propulsion module (an Afterburner or Microwarpdrive) to control range. The microwarpdrive gives a lot more speed but it can be shut off by enemy warp scramblers (the short range variety) and uses a ton of capacitor. It’s better when used in bursts to close the gap between you and enemies than for providing continuous speed, while the Afterburner can be run continuously. Fit a full rack of weapons: Each ship has a number of turret or launcher hardpoints that limits how many weapons of each type can be added to it, and most ships have bonuses to a particular weapon systems. The Thorax has a bonus to Medium Hybrid weapons, for example, which means short-range medium Blasters and long-range medium Railguns. Ships are usually balanced such that they can fit a full rack of weapons, though long range weapons tend to use more power grid and CPU so you’ll have less left over for the rest of your fit and tank. 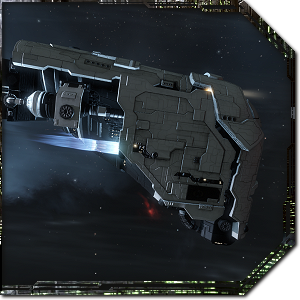 Fit a tank: Caldari and Minmatar ships are generally better with shields while Amarr and Gallente prefer armour, and some PvP ships are even better hull tanked. Designing a good tank would be a topic for an entire article series on its own, so check out some of the useful guides players have made over the years to help figure this out. For PvE you will generally want an active tank using an armour repairer or shield booster, and for PvP a passive setup that uses armour plates or shield extenders to maximise hitpoints often lasts longer in a firefight. 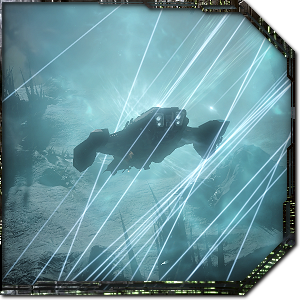 Fit other modules: After figuring out your propulsion mod, weapons, and tank setup, the rest of a fit is there to support that and will vary by play style and experience. Practically every ship should have at least one damage module as the benefit is huge for just one or two low slots. PvE ships will want enough capacitor generation to keep their tanks running indefinitely, and PvP ships will need a warp disruptor or scrambler to prevent targets from escaping. These support modules are where a great deal of the variety in ship design comes in. Choose rigs: Rigs are permanent ship modifications that provide large bonuses to certain stats (some with a small drawback), and they can’t be removed without destroying them. These slots are most commonly used for rigs that increase capacitor recharge rate or shield or armour hitpoints, but there’s a wide variety to choose from. 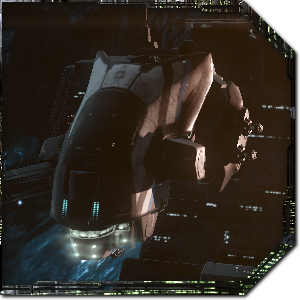 The stats from rigs are stacking penalised alongside standard ship modules that provide the same stats, and sometimes you can make a setup more effective by switching a module for its rig counterpart or vice versa. Multiple modules that affect the same stat stack, but most stats suffer a stacking penalty that reduces the effectiveness of each additional module. If you have three of the same module on a ship then it’s usually more efficient to swap one for something else, and it’s almost never worth having four of a module that is stacking penalised. When fitting weapons, always ensure that they are the same weapon type and size. Mixing multiple sizes or types of weapon won’t give you extra flexibility, it will just severely limit your damage output at any given engagement range. If possible, make sure all of your weapons are exactly the same module. Different versions of the same weapon type will have slightly different stats even if they are the same size. For example, Heavy Electron Blaster II and Heavy Neutron Blaster II are both medium hybrid blasters, but the Electron blaster is shorter range. Don’t mix armour and shield tanks on the same ship. It may seem like shield modules going in your mid slots and armour modules in your low slots will provide extra protection, but in practice it’s more effective to pick one. Those extra mid and low slots are far more useful for other modules such as cap rechargers, stasis webs, or damage modules. It almost never makes sense to mix a passive tank with an active tank. An active tank should strive to tank everything that NPCs or enemies will throw at you without needing to dip into additional buffer hitpoints, so additional armour plates or shield extenders would be wasted slots, power grid and CPU that could be used for something else. When fitting a ship for PvE, capacitor sustainability will be important as you’ll want to be able to run the tank indefinitely as you grind through NPCs. This isn’t the case in most PvP fittings, as fights typically last only a few minutes and you’ll only need enough capacitor for that duration. EVE Online is all about adapting to change, and with each balance patch or new piece of content players will go back to the drawing board to optimise ship setups. Looking up standard fits will only get you so far, and being able to come up with your own can be a very rewarding experience. Designing a good ship setup for a particular purpose is a real skill and there’s no single right answer to it, but just knowing how to start out can be daunting for new players. If you’re new to the world of ship design in EVE Online, I hope this guide helps you to come up with your own fittings or tweak your existing setups to be more effective. Glad to see there are still rookies joining the game. Rigs are not permanent in the way that you described. They can be replaced but are destroyed upon unfitting them. That could definitely be explained more clearly, I’ve edited it to make sure new players get the right information. Thanks for the heads up!